Sending IR with Arduino means that you can control various different devices in your home. Controlling different devices with IR can be part of your Arduino smart home. Reading the IR signals is fairly easy. All you need is a IR receiver. The most commonly used infrared carrier signal is 38 kHz, but it should still work fine, if the receiver and sender use different frequencies. I used IRremote library to send and receive infrared signals. You can download and read more instructions about IRremote library here. Use the IRrecieveDump -demo to dump all the data read from your remotecontroller. If the data could be identified as RC5, Sony or NEC it will also be very simple to send. 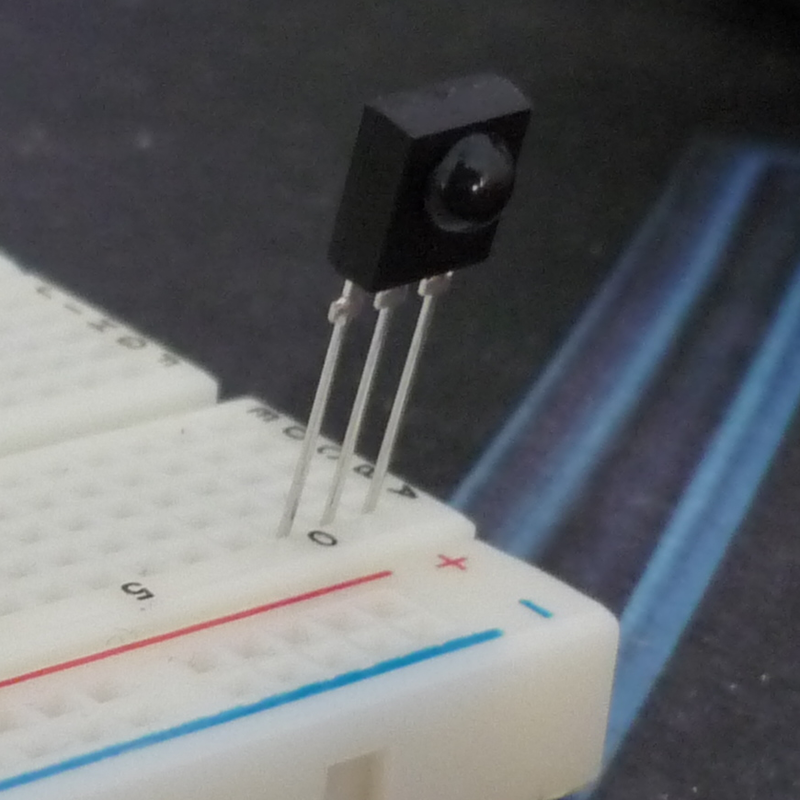 To send IR, you need an Infrared LED with a resistor. 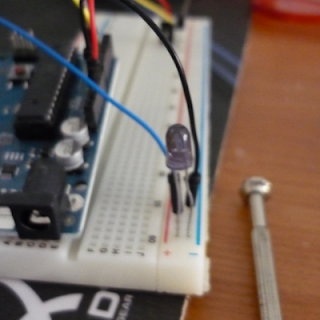 You don't want to burn your LED so use this counter to calculate the best resistor for it. Start the IRrecieveDump -demo and open serial monitor. Point your remote towards the receiver and press a button. The program should print out for example the NEC -code and the raw data. The NEC -code should look like this: "FF906F". Because the code you are sending is a HEX code you need to put the "0x" before it. "38" in the constructor means that you want to send it with 38khz carrier frequensy. Some devices use their own protocols such as Samsung, but you can get the raw data from them. To clean the raw data you get from the dump -demo, you need to erase the first number, then convert all negative numbers to positive and place commas between the numbers. 68 is the length of the unsigned integer. Nice post..The IRRemote library is built for atmega 168/328..but not for atmega8.Is there a way i can tweak the library for it to work with atmega8.Or is there any other similar IR remote library i can use with arduino.Basically all i want to do is interface a TSOP1738 ( IR Receiver ) with an arduino and the library should give me different outputs for different buttons pressed on the remote so i can differentiate between the different buttons in the remote and accordingly perform certain actions. This helped me a lot before I found the IRreceive library. thanks a lot..that links seems useful..checking it out.. Thank you very much for sharing. This got me where I needed to be on sending raw IR using the Arduino library you mentioned. Hi I have the same query. To interface TSOP1738 with ATMega8. Please help me if you got a solution. Thank you!!!! Ken Shirriff should have posed something this useful into his blog too!! Thanks to your application I am able to control my AC from the internet with an android application! You said ""38" in the constructor means that you want to send it with 38khz carrier frequensy." Hi, i'm planning to control my sharp air conditioner over my android. But the problem is I cant find the correct decoding mechanism (it's detected as unknown if i'm using IRdump). And i've tried to use your way (samsung). but still can't work. Error: uint8_t recvpi, " no rawlen"?? I've got dis interesting site for dis. Try it.